Deciding to tackle a kitchen upgrade is one of the best decisions you can make for your home, and also among the most stressful ones. At the very least, you’ll be dealing with the inconvenience of not getting access to your kitchen for a time. Additionally, most kitchen makeovers involve a lot of your hard-earned dollars. Add in the pressure of making decisions you’ll be living with for many years, and you might find yourself hesitating to push through with the upgrade. Is it time to panic? Not at all. It’s time to plan using these handy design tips from DreamMaker Bath & Kitchen of Central Ohio! Open floor plans are becoming more and more popular for kitchen remodels today. A less segregated and more free-flowing space not only helps create the illusion of a bigger room, it’s also great for entertaining and conversing with guests. There are several ways to achieve this, such as removing walls and upper cabinets, as well as adding windows for more natural lighting. Are you one who cooks regularly? If so, then your kitchen needs more counter space, ideally between the sink and the range. Adding two countertop heights can make cooking easy and even help kids who are involved in meal preparation. The extra space can also be beneficial when hosting dinner parties. Before settling on a layout, think about how and where you use your kitchen items. For instance, make sure to store breakfast snacks and bowls near the breakfast table. You should also locate dishware near the dishwasher to simplify the unloading process. Keep wraps and plastic containers in one easy-to-reach spot near the counter for wrapping leftovers. A kitchen remodel involves plenty of preparation and design considerations. Trying to do this upgrade alone can be a daunting task. Be sure to work with a reputable remodeling company for your project! 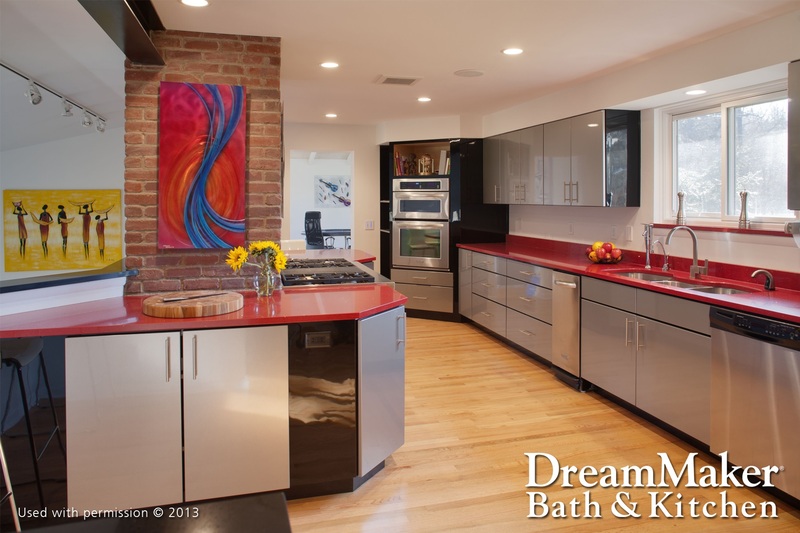 As one of the leading kitchen remodeling contractors in the region, DreamMaker Bath & Kitchen of Central Ohio can provide the right ideas and designs to get the job right the first time. To start a conversation, feel free to call us at (801) 203-3307 or contact us via our online form.